Spain, one of the largest economies in the world, has laudably become one of the first to generate more than 70% of its electricity from non-carbon sources. It’s electricity sector could be totally free of fossil fuels within half a dozen years and plans are underway to encourage alternatives in the transportation sector. But will this really improve Spain’s condition? While it’s true that Spain’s rising use of clean energy is remarkable, it’s also true that taken alone it does next to nothing to protect it from the effects of climate change. I was in Andalucia in early November. I drove through groves of giant windmills interspersed through acres of olive groves. The olive groves are parched from drought and a disastrous 2015 crop is expected. Or one can travel near the Atlantic coast to the Donana Nature Preserve—the first area ever protected by the World Wildlife Fund. Donana includes a marsh that in the fall normally hosts millions of nesting and migrating birds. The marsh was dry; the birds absent. No one was sure where they had gone. 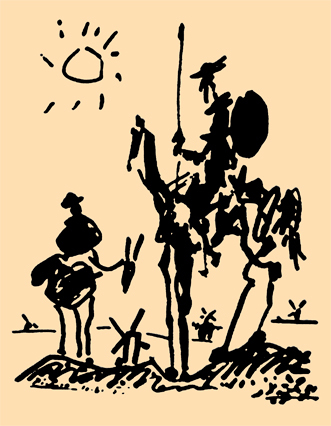 So Spain has gone from knights errant jousting at windmills to towering windmills jousting with the dry, hot winds, a reprise of futility. No single country can stop the ecocide. There is no solution except a global one.